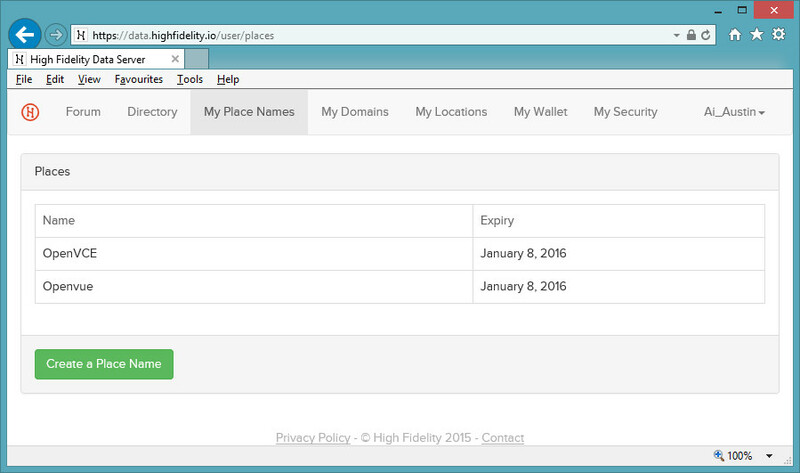 On 9th January 2015, High Fidelity opened up the facility to register “public” metaverse names that can be associated with high fidelity domains and locations. The fee will be $20 US per place name per annum. 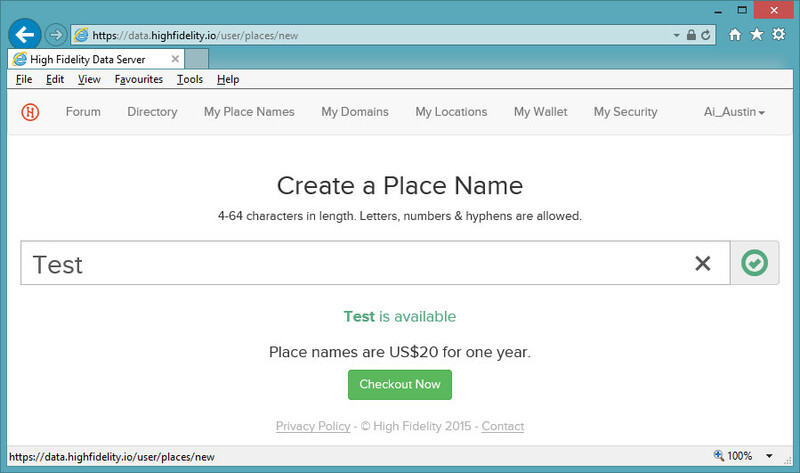 Just beforehand HiFi alpha testers had been allowed to register a couple of public place names to associate with their existing experimental domains and locations. 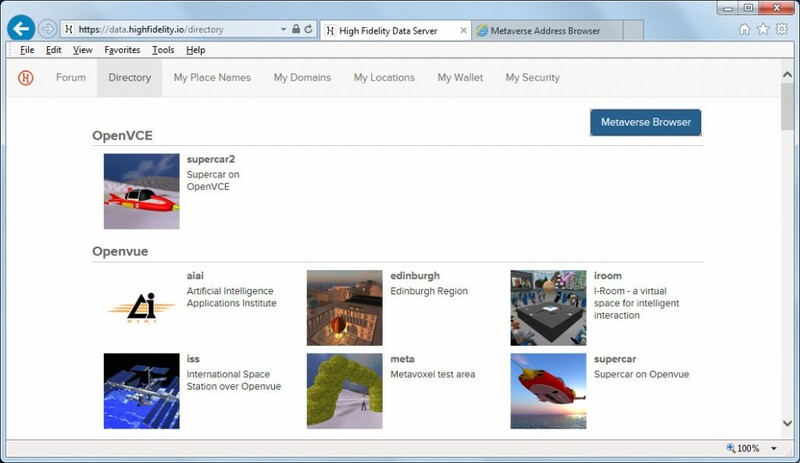 The registration of names to allow for people to connect to sites in the metaverse hosted on their own servers is clearly to be part of the business model for High Fidelity. 9th January 2015 marks the start of this roll out. 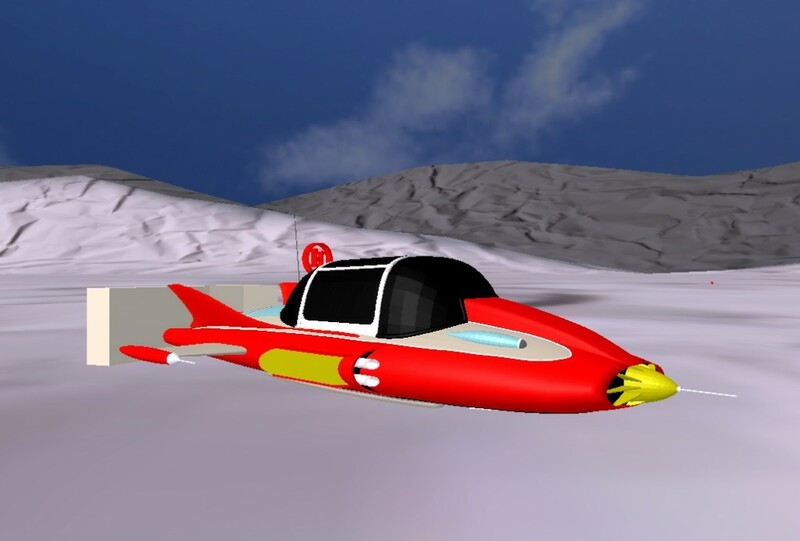 This entry was posted in Virtual World and tagged HiFi, High Fidelity, Place, Virtual World. Bookmark the permalink.